IHG® Rewards Club - eBooks - Babies Come from Where?! Its finally here! The unforgettable tale our mommas never knew. If they had, it would have been their explanation to, Where do babies come from? 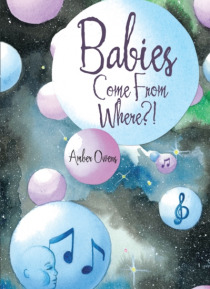 If you have a baby, are fascinated with babies, or just want to read an originally twisted spin on babies, this is for you.This is an incomparable, must-read fantasy story for all baby lovers! Come travel with Bina and baby Cadence, through the enchanting… journey of parenthood, from the babys perspective. Discover the shocking truth of where babies really come fromtold straight from the babys mouth!